Twenty-five year old Ivy Rowan rises from her bed after being struck by the flu, only to discover the world has been torn apart in just a few short days. But Ivy’s life-long gift—or curse—remains. For she sees the uninvited ones—ghosts of loved ones who appear to her, unasked, unwelcomed, for they always herald impending death. On that October evening in 1918 she sees the spirit of her grandmother, rocking in her mother’s chair. An hour later, she learns her younger brother and father have killed a young German out of retaliation for the death of Ivy’s older brother Billy in the Great War. We follow Ivy as she leaves her childhood home behind. She does her best to move on from the violence and guilt that her family brings. As Ivy leaves home, she walks by the store in which her father and brother committed a horrible act of violence and finds Daniel Schendel down on the floor, doing his best to remove the blood from his floorboards. Ivy does her best to push into Daniel’s life and provide him with some sort of solace to replace the guilt that she feels from her family’s crime. Over time, the two are able to build something beautiful despite the horror that is right outside their door. This novel broke my heart in the very best way. Like other novels by Cat Winters, Ivy is living in a rather difficult time for women. Therefore the growth of her character was truly amazing to watch. Her strength shone through the terror and ugliness of the time in which she is living, I especially liked her role in driving an ambulance for the Red Cross. Daniel grows in his own way as well, and learns to trust that not everyone is as hateful and close-minded as those he had come in contact with prior to meeting Ivy. The secondary characters have their own layered and interesting personalities and I found that I really cared about each one. As you may know, I adore Cat Winters and her novels. I find them to be some of the most atmospheric and deep feeling novels that I have ever read. 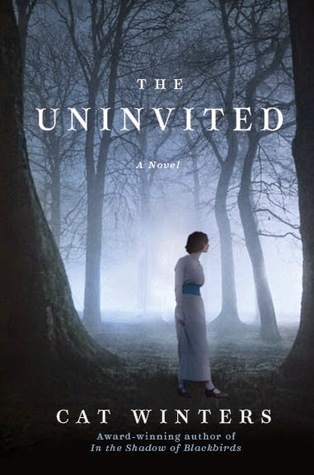 The Uninvited was no different, in fact, I fell even more in love with this novel than the prior two that I have read. One of the things that I have been wanting with the atmosphere and mystery that surrounds novels by Cat Winters is more romance. More adult, curl your toes with passion romance. I am so happy to tell you that The Uninvited is filled to the brim with these passionate encounters. Being that Ivy is older and that the novel was more adult than the author’s other novels we are able to see a positively fantastic plot element that I so desperately needed. The Uninvited was filled with horror, hatred, and so much ugliness. However, with every bleak moment there was a moment of hope and even love. The ending was absolutely heartbreaking in so many ways, I read it months ago and still cannot stop thinking about it. Shelf Talker: There is so much to be said about The Uninvited. It is a truly beautiful and atmospheric historical fiction novel filled with paranormal elements, phenomenal plot twists, jazz, and a romance that will make your heart ache. 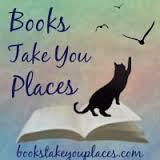 Cat Winters has most definitely become one of my “auto-buy” authors, I can’t get enough of her work. This entry was posted in Reviews and tagged adult, fantasy, ghosts, historical fiction, horror, love, paranormal, reviews, romance, young adult. Bookmark the permalink. I have yet to read anything by Cat Winters! But your sheer enthusiasm for The Uninvited makes me want to start. It doesn’t sound like my normal type of read (since I’m not much for horror), but the historical aspect does draw me in a fair bit. I think I might just have to make the time to check this out!